Tuhon Rommel Tortal is the nephew of Grandtuhon Leo Tortal Gaje Jr. 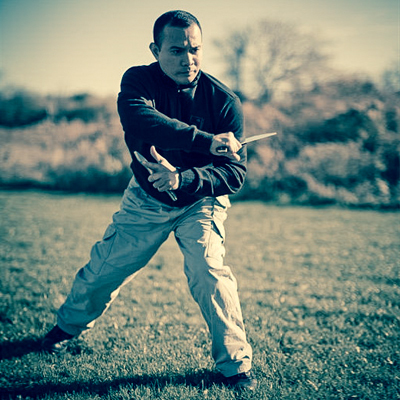 He has had a lifelong immersion in the combat system of Pekiti-Tirsia Kali that his family evolved over a century of trial and error. Tuhon Rommel has been Chief Tactical Instructor for the Philippine Marine Force Recon Battalion, the Philippine National Police Academy, Philippine Special Action Force Commandos, and the Presidential Security Group of the Philippines amongst other elite units. Internationally he has trained Special Operations Units in India and Russia among other countries.